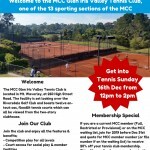 The MCC Glen Iris Valley Tennis Club would like to invite all current MCC members (Full, Restricted or Provisional) or on the MCC waiting list, to come and try tennis at our club on Sunday the 16th of December. Coaches and club members will be on hand to have a hit, enjoy a BBQ on the lawn and experience all that the club has to offer. 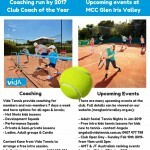 Join the tennis club before Dec 31st to receive 20% off your 2019 tennis club yearly membership. 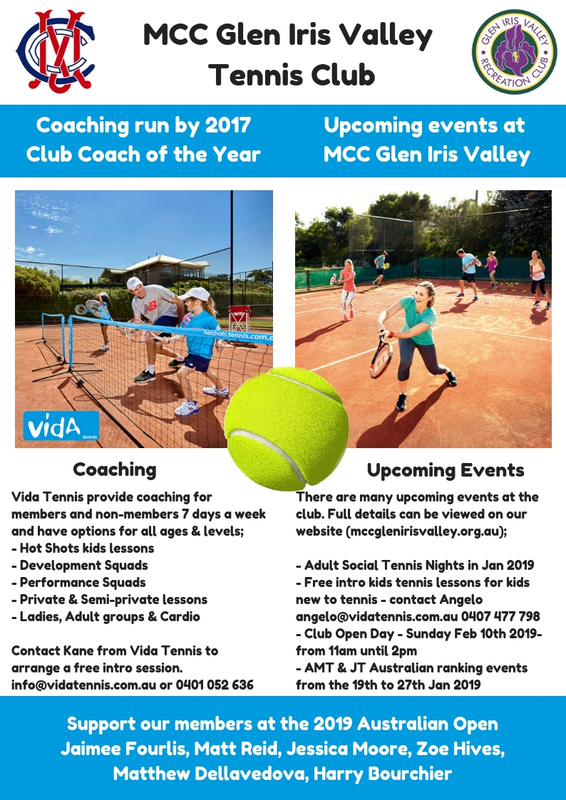 All you need to do is quote for MCC member number (or file number if on the waiting list) and get started playing tennis at our club. Check out all things MCC Glen Iris Valley below and on our website. 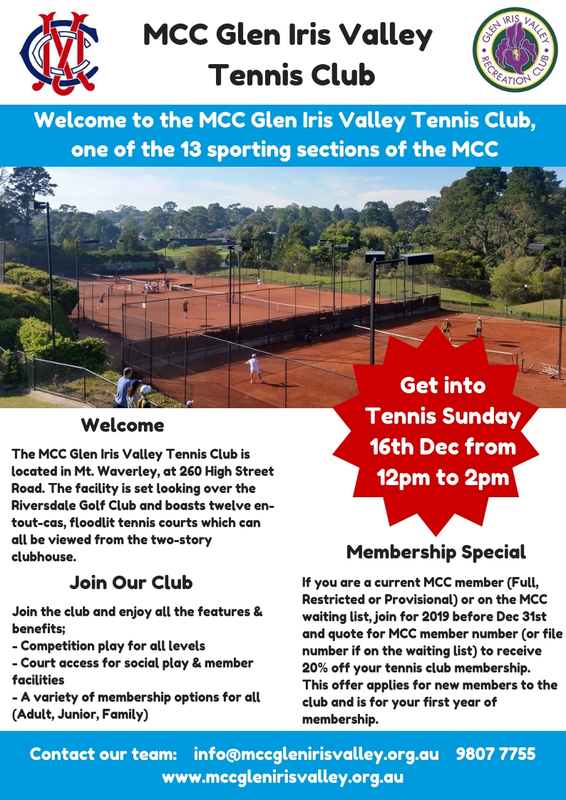 Contact us at info@mccglenirisvalley.org.au for more information or to take up the offer.